Mathematics has been around since antiquity and has fascinated and stimulated creative and logical thought for millennia. It is ubiquitous in nature and science and is rich in applications to the real world. Many mathematicians speak of the beauty of mathematics as a language for describing the universe. However, mathematics is not only a science; it is also an art. Although mathematicians are perceived as straight-laced, we all feel emotion when we think of math in terms of its fundamental nature, its omniscience, its art, and its science. To do pure math – math with no proposed application to any other field – is to get to the very heart of things. Math research is the discovery of new mathematical ideas, definitions, and theorems. Boolean algebra (George Boole, 1854) was thought to be of no value at the time of its discovery. It was rediscovered a hundred years later and now serves as the basis of modern computation and digital logic. Calculus, now a common mathematical system, did not exist four hundred years ago. And although it was discovered four centuries earlier, we still find new uses for it today! Calculus relied on the intuition of an infinitesimal. However, it was still almost three hundred years later that Abraham Robinson showed how the existence of an infinitesimal could be formalized using the Compactness Theorem of First Order Logic. Mathematics is a formal language for human intuitions, and it still remains an open question whether all our intuitions can be ultimately formalized. HPU offers more individualized attention - our upper division class sizes range from 8-15 students. Our faculty are dedicated to teaching. They come from top mathematics programs across the country and have been actively engaged in world-class mathematics research. We implement a variety of teaching techniques that are innovative and student-centered, promoting creativity and critical thinking skills rather than being rigidly structured to the lecture hall paradigm. As a student, you will not only be exposed to different instructional styles, but will also be able to interact with a diverse set of peers in our mathematics clubs and study groups. In your final year, you may have the opportunity to work closely with a faculty mentor on advanced material catered specifically to your personal interests. At HPU we believe that the beauty of mathematical theorems should be shared with undergraduates. We will expose you to some advanced and elegant theorems such as the Gödel Incompleteness Theorem because we believe need to be challenged and encouraged to do higher mathematics. Our upper division classes will prepare students to study mathematics at elite graduate schools. HPU also recognizes the growing connections between theoretical computer science and mathematics. With the advent of theorem provers in the area of Artificial Intelligence HPU embraces Logic as a vital element of study in the twenty first century. HPU also embraces the idea of introducing undergraduates to research to ease the transition to graduate school. 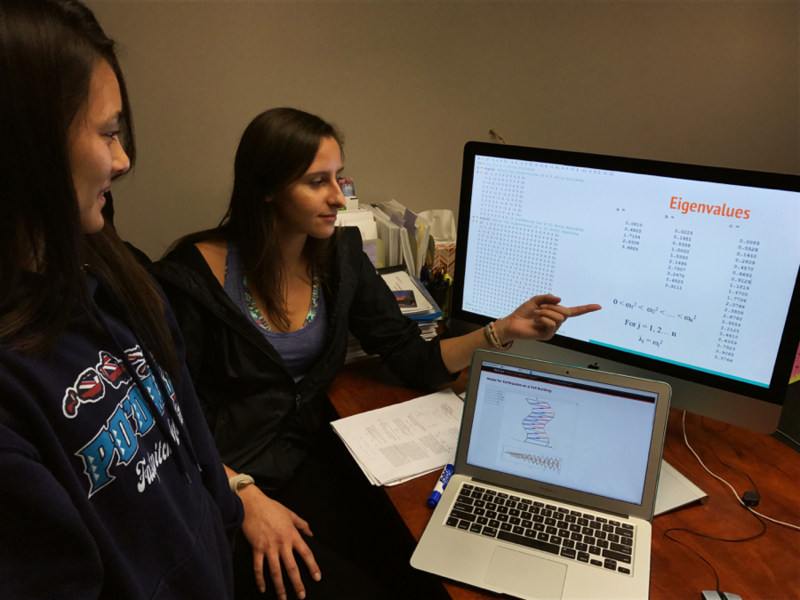 Opportunities exist for undergraduates to work in research projects in Applied Mathematics with one of our professors. Interpret, calculate, analyze, represent, and clearly communicate quantitative information through Mathematical tools (e.g. equations, graphs, or diagrams). Solve applied problems in mathematics, statistics, or in other math based disciplines. Construct and critique mathematical proofs. Develop comprehensive oral skills using the language of mathematics in order to articulate mathematical ideas and explain results. How to Prepare For a Major in Math at HPU? Take a math course in every semester of high school in order to build your skill level. Be ready to take calculus upon arrival at college. It will be best if you arrive at HPU with a solid background in the core sciences, particularly physics. Any experience in biology or chemistry will also help you in math. Don't forget to take writing courses. Advanced Placement (AP) and International Baccalaureate (IB) courses in any discipline are fantastic preparation for college level work.